Anita has spent 6 years in the small business industry. Her key skill set is marketing, sales, business development and stakeholder management. Anita has been manager of the Small Business Centre East Kimberley from 2011 to 2014 and has successfully assisted with the tender for the whole Kimberley. She now coordinates the business advisors and clients for Broome, Derby, Fitzroy Crossing, Halls Creek, Kununurra and Wyndham. 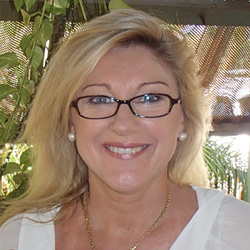 Anita has lived in Kununurra in the Kimberley region of Western Australia since 2010. Having also lived in other remote areas of Australia, Anita is aware of the cultural diversity and challenges that affects small businesses in the region. Successful tenderer for Small Business Development Corporation Business Local contract for the Kimberley Region. Successful application to Aus Industry granted the SBCEK $220K funding to development of the enhancement of our services by providing local businesses workshops, seminars and training relevant to the diverse industry sectors in our region. Undertook travel to outer communities such as Balgo, Mulan and Bililluna to identify business and training opportunities. The role as manager of the SBCEK provided Anita to develop and maintain relationships with other business providers and community stakeholders. The SBCEK effectively coordinated 2012 Shire of Wyndham and East Kimberley Small Business Awards, 2013& 2014 Shire of Wyndham and East Kimberley Small Business Awards and the Kimberley Development Commission Small Business Awards. 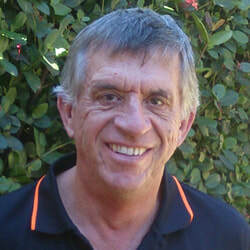 Brad Williams is the Managing Director and Licensee of First National Real Estate Kimberley. Specialist areas include Commercial/Industrial Sales & Leasing, major projects management and coordination of all branch marketing activities. Tracy has been a member of the Broome community for 15 years, a majority of her time there was working for Westpac Banking Corporation in the Kimberley Region as a local Bank Manager/Home Finance Manager. As her career progressed she found herself wanting a more challenging role with diversity and feeling the need to obtain and manage her own Business. She later decided to follow a path into something that she would love and enjoy, which became her own Business as a Registrar of Marriages throughout the Kimberley region offering people an escape into the outback with some secluded destinations to Wed. She has worked for the Attorney General's Department as an unpaid voluntary Justice of the Peace and the Department of Housing in Leasing, along with her own successful business. She has also participated in organizations in her Community such as Rotary, Lions, Chair for the Small Business Centre West Kimberley for around ten years and Treasurer/ Secretary for Rotary and other clubs in her community. 18 years in the East Kimberley including 10 years’ experience in leadership positions in Government, not for profit and Aboriginal organisations including Housing, Education, Health and being the inaugural coordinator of the Ord Valley Muster has given Annie a breadth of knowledge and experience that she often uses in here daily life. Annie's wealth of practical and theoretical knowledge is supported by the number of Tertiary qualifications that she holds including Graduate Certificate Human Resource Management, Graduate Diploma in Public Policy and a BA (Hons) in Aboriginal Archaeology. Annie is a Certified Prosci Change Manager and Exit Planner and holds CAHRI Membership through the Australian Human Resources Institute (AHRI), This Membership is reserved for established HR professionals who have at least 8 years HR workplace experience. Her passion for business in the region has seen her elected to a number of key Board positions including Secretary of the Kimberley Small Business Support, Secretary and Treasurer of the East Kimberley Chamber of Commerce and Industry. Annie has her own business, HR North - a professional human resource and information management for the North of Australia and is currently working part time for the East Kimberley Chamber of Commerce and Industry as their Executive Assistant. Kevin’s professional career includes 33 years in the banking industry, including 20 years in various business and commercial enterprise management roles. For the past 4 years he has worked in the Kimberley for both government and private enterprise in the area of Indigenous business development. He strongly believes successful small business is the heart of driving sustainable communities and regions. ​Elsia Archer has lived and worked in Derby since 1957 and managed a Derby based store for twenty four years prior to her recent retirement from business. Mrs Archer is a Justice of the Peace and has served on the Shire of Derby West Kimberley Council for twenty six years, including two years as Deputy President and in her sixteenth year in her current office as President. 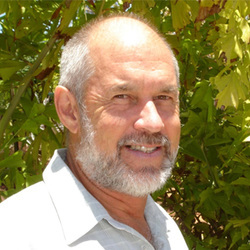 Cr Archer has been a local government representative on the Regional Development Council of WA and has previously served three years as President of the WA Local Government Association’s Kimberley Zone and is a current member. ​Elsia is a member of other regional groups including Home and Community Care, Health Consumers, Roadwise (formerly Safer WA) and the Small Business Centre Derby. She is also Council’s representative on the Native Title Working Group, Australia’s North West Tourism, Kimberley Zone Representative for State Council - WALGA and a Board Member, Regional Development Australia (Kimberley). Mrs Archer is tireless in her pursuit of improvement within the community and particularly all aspects of the health service and youth services. She also champions the promotion of cultural events in this remote area. Chris Mitchell is the Executive Officer of Regional Development Australia – Kimberley, (held for nine years) and has lived in the Kimberley region of Western Australia for over 33 years and knows the region well He is passionate about regional development opportunities that benefit the Kimberley and the north of Australia. He is very active in the community through many organizations and committees. A serving Shire Councilor for 25 years with the Shire of Broome, and is currently the Broome Shire‘s representative on the Kimberley Zone of Councils. He has a strong interest in Aquaculture development. Other interests are around Emergency Management, Health, Education, Agriculture and pastoral diversification, Tourism, and innovative opportunities that can develop the north. ​He is also a Ministerial appointee to the Rural and Remote Education Advisory Council, and a member of the Broome District Health Advisory Council. He also holds several WA Local Government Association positions as a State representative on a number of Emergency Management committees. ​Linda has lived in Kununurra since 1999 and has owned and managed the retail outlet Walkabout Souvenirs and Top End T-shirts in Kununurra for the past 13 years. Linda has 17 years previous experience working and owning businesses in the food and hospitality industry and 9 years in the Government sector. Having worked in both Government and Private sector she has gained experience in many areas of HR, finance and administration. Linda has been a Board member of the EKFL and held the Treasurer’s position since 2004, and has been actively involved in many other committees. Linda has a passion for success and believes a positive, innovative and optimistic approach is the key to business success.